Karnataka will go to polls on May 12. The counting of votes will take place on May 15. The term of the current 224-member legislative Assembly ends on May 28. 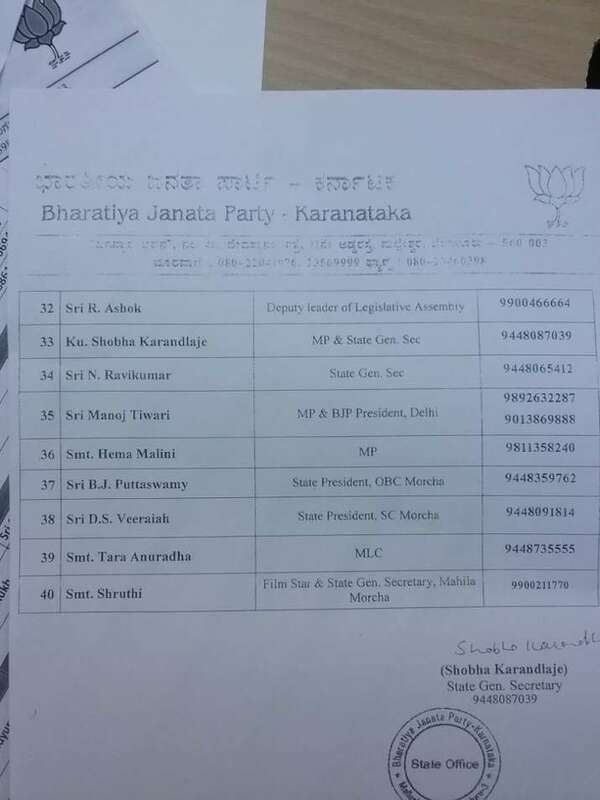 The Bharatiya Janata Party (BJP) on Saturday released a list of 40 star campaigners for the upcoming Karnataka assembly elections. 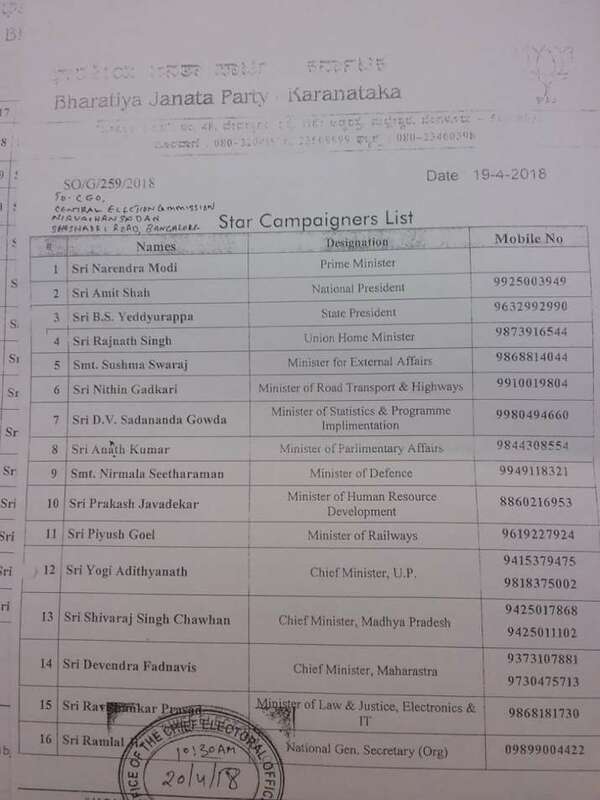 Prime Minister Narendra Modi, Amit Shah, Sushma Swaraj, Nitin Gadkari, Rajnath Singh, BS Yeddyurappa, Nirmala Sitharaman, Prakash Javadekar, Piyush Goyal were named as star campaigners for the crucial polls. 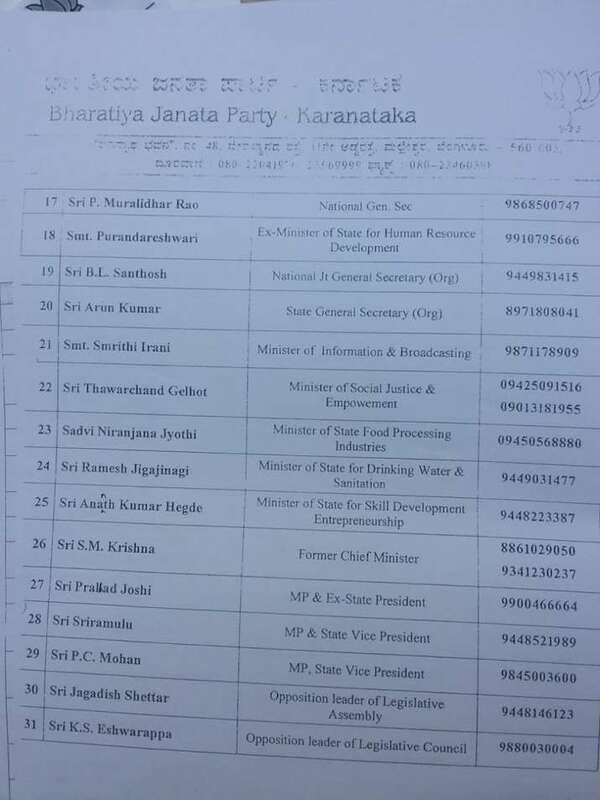 Apart from this, Yogi Adityanath, Shivraj Singh Chouhan, Devendra Fadnavis, Ravi Shankar Prasad, Ananth Kumar, Smriti Irani, Anant Kumar Hegde, SM Krishna, Prahlad Joshi, Jagadish Shettar, Manoj Tiwari, Hema Malini also featured among the names released by the party. The Assembly election is Karnataka is being seen as a battle of prestige between the Congress and the BJP as it is the only major state where the Congress is in power at present. While the Congress would want to retaining it, a win for the BJP will provide a great boost to its campaign for the 2019 Lok Sabha election. 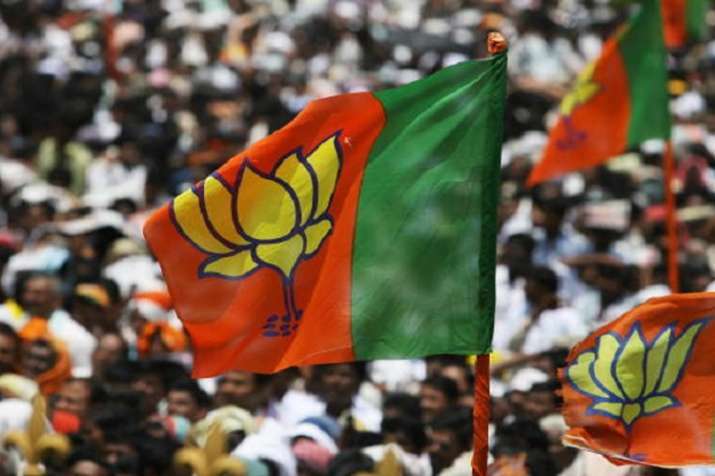 The BJP is making a concerted bid to unseat the Congress in Karnataka where the issue of granting "religious minority" status to the dominant Lingayats and Veerashaiva Lingayats has become a major issue.